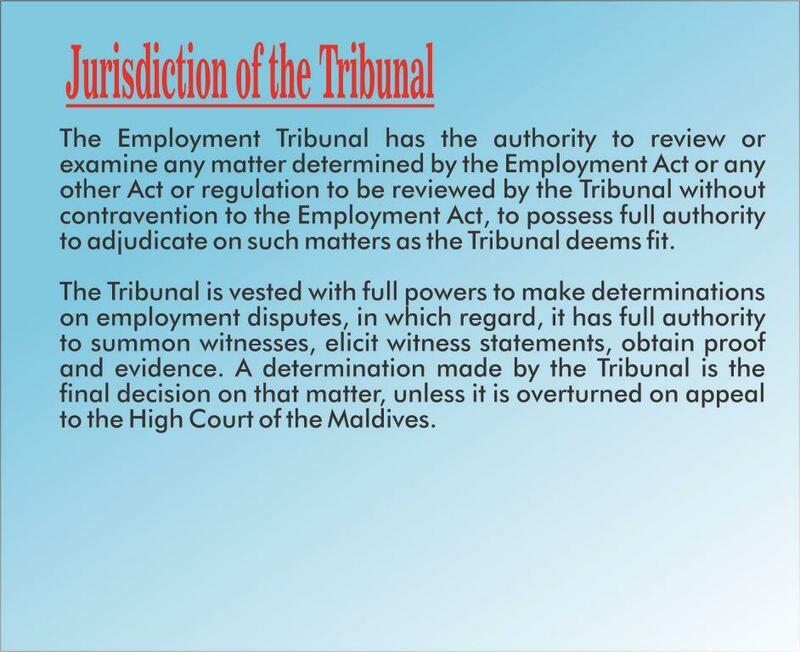 The official working hours of Employment Tribunal is from 0800 hrs to 1400 hrs of all the days other than government holidays. Front office is open from 0800hrs to 1330 hrs. Letters and documents must be addressed to Uz. 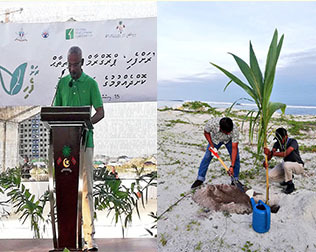 Ahmed Shifau, President of Employment Tribunal. 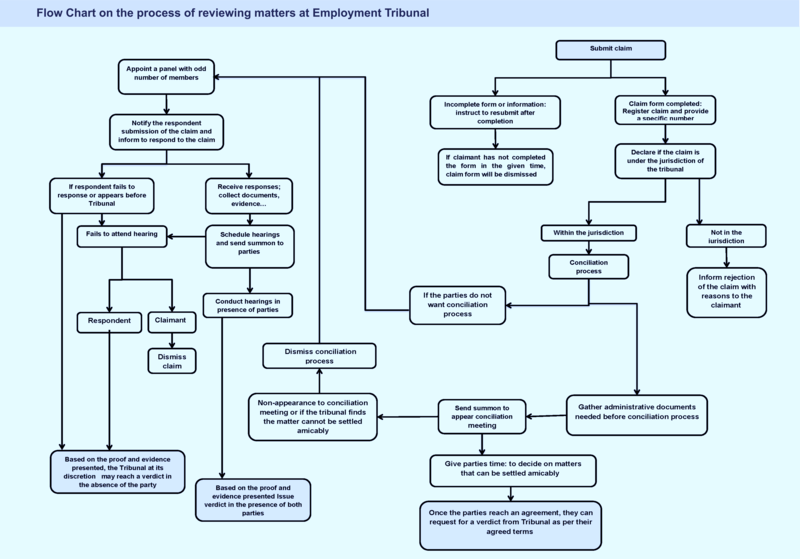 Works of Employment Tribunal Adjudicating disputes arising between employee and employer in the work environment and any matters ascribed to the Employment Tribunal pursuant to the Employment Act or any other act or regulation or under any agreement. 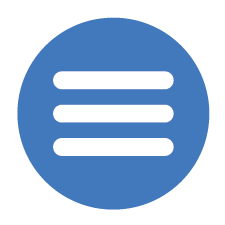 Submitting a claim to Employment Tribunal •	Claims to the Tribunal should be submitted through the “claim form” devised by the Tribunal for the purpose or a form in a similar format. 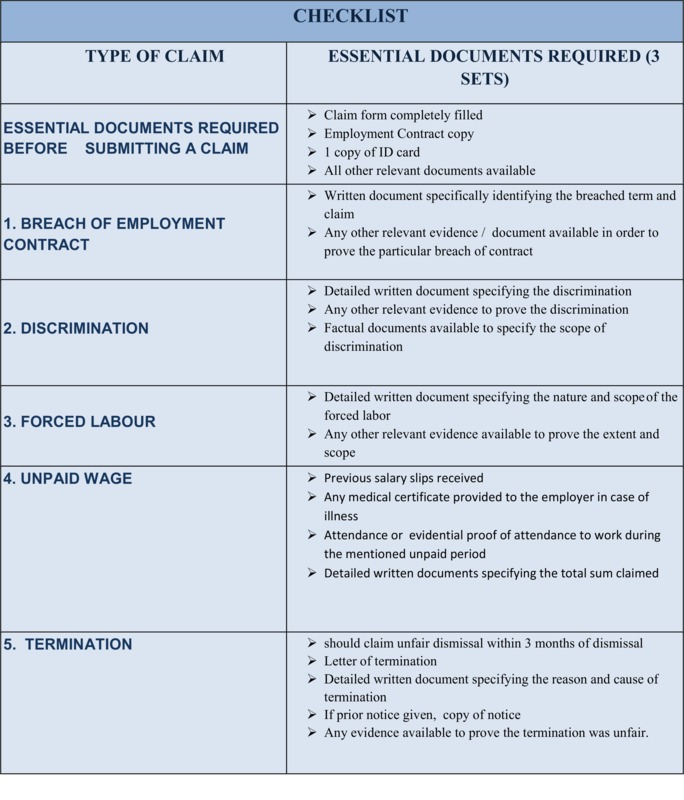 •	When submitting a claim to the Tribunal, 2 copies of the claim from and original, 3 copies of all the documents as support of the case and evidence that the claimant want to present shall be submitted. •	A case by a group can be submitted through one from. •	A claim can be submitted to the office of Employment Tribunal, via email, fax or post. 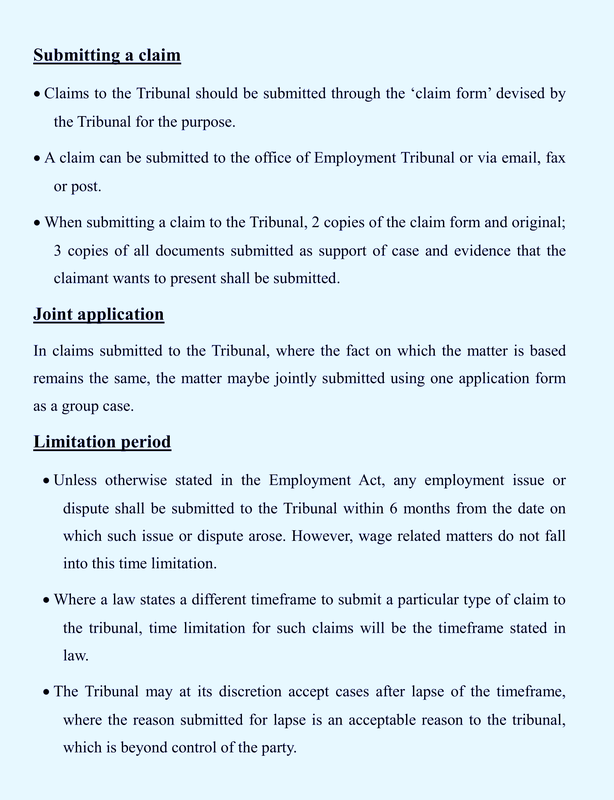 •	Claims that are submitted via fax and email, original with two sets of copies must be submitted within 10 working days to the Employment Tribunal office. 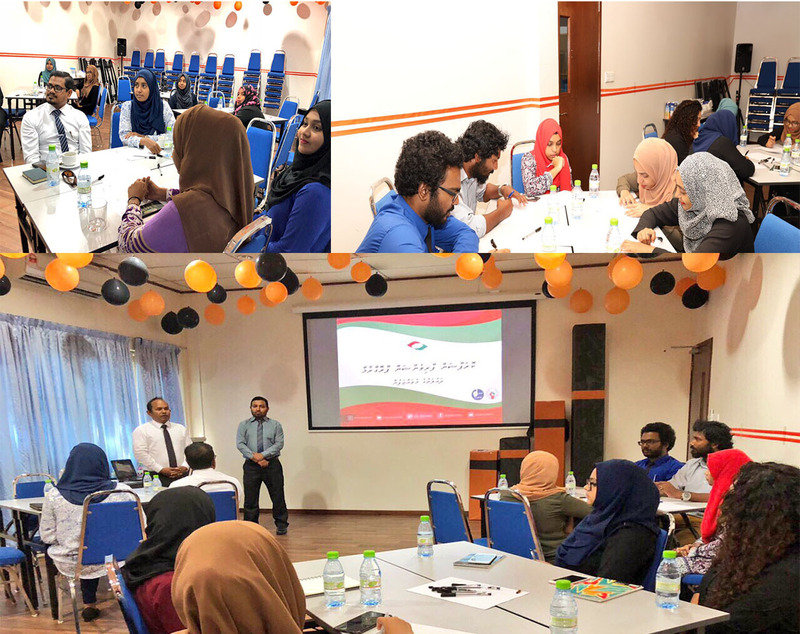 •	For the hearings of the cases, a summon will be sent to the claimant and respondent to attend to the tribunal for hearing. •	If the claimant is failed to appear to 2hearing scheduled at the tribunal without plausible cause, the tribunal reserves discretion to dismiss the case administratively. •	If the respondent on whom the summon is served refuses to accept the summon or up on it being served on him fails to appear without plausible cause for total 2 hearings the tribunal reserves discretion to adjudicate on the matter concerning him in absentia. •	Person appearing before tribunal shall bring identification card or passport or any other verified identification document along with him/her. " Solving the issue Even after filing the case at Tribunal, claimant or respondent can solve the issue out of tribunal. In that case the intention or if solved, it must be communicate by written to the Tribunal and tribunal will record it as solved. " ➲ How a Claim can be submitted?